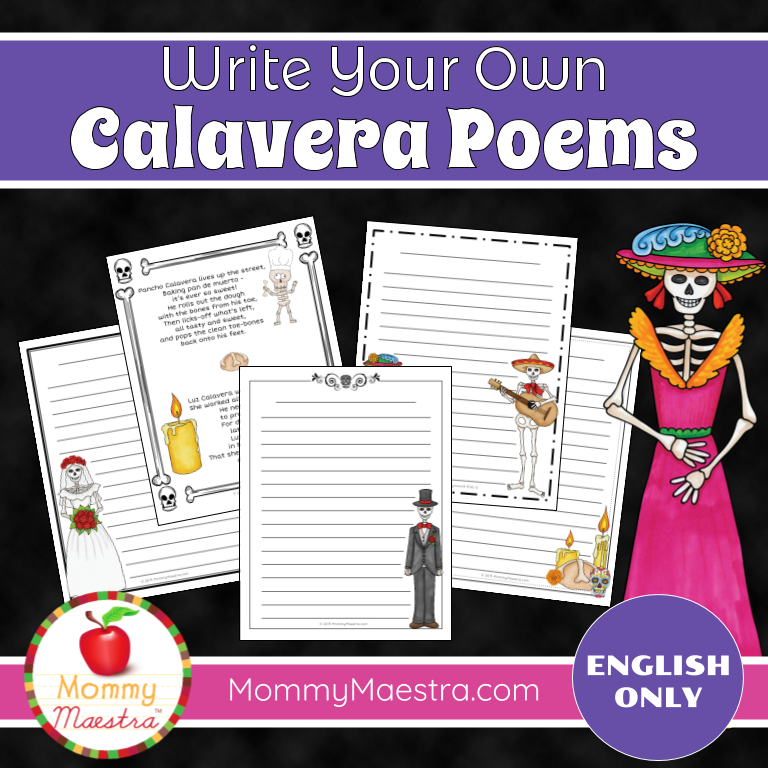 My online store has been super busy with orders for my collection of Día de los Muertos printables. But I couldn't resist updating one of my first products that I listed YEARS ago! The image above gives you an idea of what some of the activity sheets look like. It's designed for children in PreK & kindergarten. 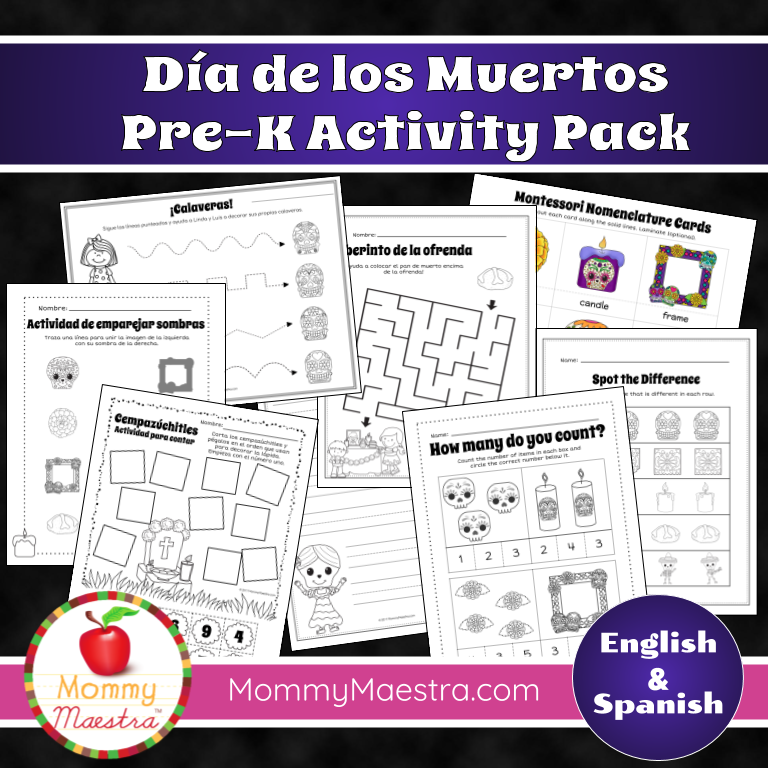 I had tons of fun creating them and I hope your young student(s) enjoys them! You can find it in both my TpT store and my online MommyMaestra shop. All of these are quick and simple activities for small hands. Sold separately, these activities total $12.00, but you can save when you purchase the bundle for $10. 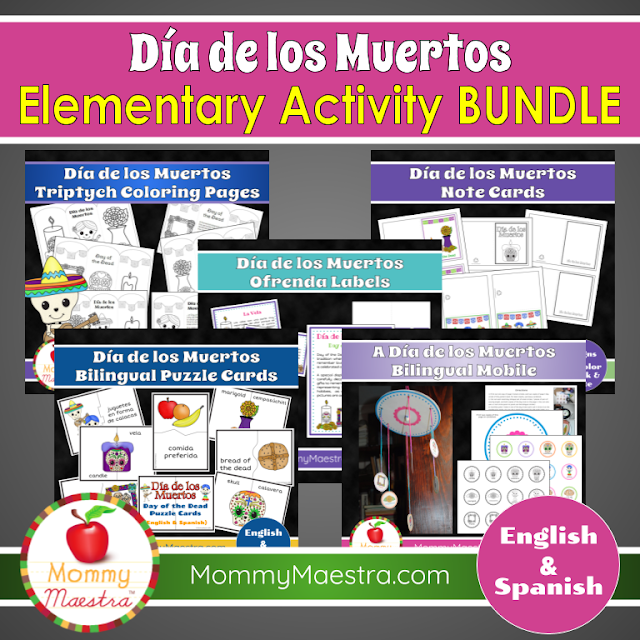 You can also find them in my TpT store and MommyMaestra shop. And don't forget! 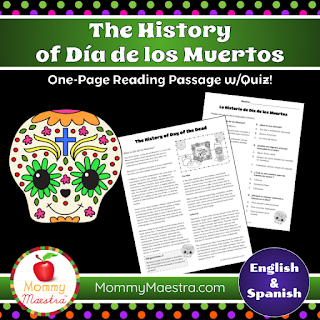 I have lots of other Day of the Dead-themed products available, including several for older students, too!